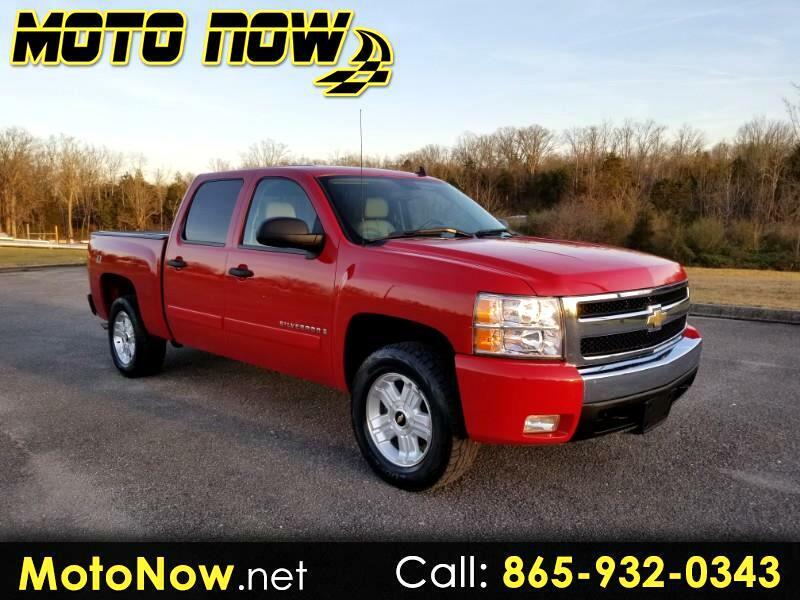 *** AT OUR SEVIERVILLE LOCATION *** The Chevy Silverado was lavished with product awards when it was totally redesigned for 2007. For 2008, Silverado gets some detail improvements and minor pricing adjustments. The styling is bold yet still conservative when compared with the latest pickups from Dodge, Nissan, Toyota, and Ford. While the sheet metal was all-new for 2007, the main reason the new Silverado looks bolder is that it's three inches wider in front and an inch wider in the rear than the previous generation, a big difference. The Silverado is, of course, available in a range of cab styles and bed lengths with a wide variety of engines, drivetrains and suspensions designed to meet every need. Upgrades for 2008 include revisions to instruments, seats, radio, a new integrated brake controller option, and more reds in the color palette. We found the LTZ crew cab with the Z85 suspension offers a nice ride, soaking up vibration on gravel desert roads and offer sure-footed handling on winding paved mountain roads. The popular 5.3-liter V8 delivers good power when needed and quiet cruising when not.